This article addresses the disturbing fact that few contemporary Chilean children’s books deal with Augusto Pinochet’s dictatorship (1973–1990). It explores why dictatorship has such an elusive presence in contemporary Chilean children’s literature, how it has been represented in general, and how children are portrayed in books that do address Pinochet’s oppressive regime. Four Chilean children’s books are examined in detail: two that represent the dictatorship from an outsider perspective, produced by authors in exile, and two written from an insider perspective by authors that grew up under Pinochet’s dictatorship. While the former represent children as superheroes whose actions transcend the dictatorship’s repression, the latter depict children who are politically aware, but do not make the adults’ political fight their own. This key difference is problematized in terms of the implications for narratives of dictatorship produced for a young audience. Bernardita Muñoz-Chereau is a Postdoctoral Fellow at the Graduate School of Education, University of Bristol. She has published more than 20 children’s books in Chile and Latin America. Her children’s novel about Pinochet’s dictatorship, El diario de Noelia (Noelia’s diary), will appear soon. A significant transformation in the landscape of Chilean stories for children is currently taking place. More than two decades after the end of Augusto Pinochet’s dictatorship (1973–1990), this dark chapter of the country’s history is just finding its way into narratives addressing the young. The most striking example is Bear Story, which won the Oscar for the Best Animated Short Film 2016. Gabriel Osorio (2016), its director, said that the film was inspired by his grandfather, a tall and strong man who resembled a bear when Gabriel first met him, after the grandfather returned to Chile from exile in England during Pinochet’s dictatorship. In addition, “oso” (the Spanish word for bear), is contained in “Osorio,” the surname that Gabriel inherited from this grandfather. Using the literary device of a story within a story, Gabriel, the grandson of a bear, tells the story of a bear, which tells the story of another bear. Osorio uses the setting of a circus to describe the pain and solitude of exile, as he wanted to avoid being too explicit, reaching a broad audience instead and allowing for different layers of interpretation (Aguilar, 2016, n.p.). In the picture-book adaptation of the short film, Historia de un oso (Bear story), which was published in Chile in 2016, Antonia Herrera and Gabriel Osorio strengthen the allegory of the circus by, among others, calling the oppressors tamers (Fig. 1). But whilst the allegory effectively allows adults and children to enjoy Historia de un oso, the reference to the Chilean dictatorship can easily be missed, and the book is more likely to be interpreted as a story that criticizes animal cruelty in general and circuses in particular, without any reference to Chile. Inspired by the difficulty of representing Chilean dictatorship highlighted by Historia de un oso, this paper aims to explore why Pinochet’s oppressive regime is so elusive in contemporary Chilean children’s literature. I discuss how it has been represented in general, and how children are portrayed within some of these books in particular. Children’s Literature: Subjugating or Liberating? Zohar Shavit (2009, p. xi) states that “children’s literature, much more so than adult literature, is the product of constraints imposed on it by several cultural systems, such as the educational, the ideological, and so on.” Children’s literature is subjected to various types of censorship, as described by David Booth (2011, pp. 27–28), which helps to understand why, after more than 40 years since the beginning of Pinochet’s dictatorship and 25 years after it ended, representations of this period of Chilean history have been generally excluded from children’s literature. Indeed, one category of censorship in children’s literature that Alleen Nilsen and Hamida Bosmajian (1996, p. 310) identify is the political. Although it overlaps to some extent with educational, economic and private censorship, political censorship serves to protect the power of the system, instead of the individual child. Undeniably, authors, editors and critics have been slow in finding ways to represent dictatorship in Chilean children’s literature. But in the last decade, there has been a remarkably growing willingness to address recent Chilean political history, particularly among the younger generations of authors. Some voices are still trying to deny history, as evidenced in an official effort by the Ministry of Education to replace the word “dictatorship” with the more neutral “regime” when referring to Pinochet’s illegitimate tyrannical government in the national curriculum (Adams, 2012). Yet, what proved impossible in the last four decades, now seems not just feasible, but urgent. Although local children’s books dealing with Pinochet’s dictatorship have begun to emerge, they still constitute a very humble endeavour. According to the statistics presented by the Annual Cultural Report (INE, 2014, pp. 126; 334), 2562 children’s books were published in Chile in the period from 2009 to 2014. If we consider that only eight of those referred in some way to the dictatorship (Troncoso, 2015, pp. 10–15), they represent a marginal 0.3 %. Though their modest proportion is in line with the more general observation that children’s books dealing with authoritarian regimes are rare (Huber, 2012), they represent a significant improvement compared with the complete silence in the previous years. When confronted with the question how to represent the Chilean dictatorship in children’s literature, Holocaust studies offer a relevant framework. In the last three decades, various narratives have tried to make the Holocaust comprehensible for children. Adrienne Kertzer (2001, p. 12) wonders how to tell children about it without terrifying them, and how to describe horror without turning the narrative into another horror story. Louise Sylvester (2002, p. 17) argues that it is necessary to address evil while respecting the particular needs of the child reader by including, for example, hope and optimism. Then again, Adam Muller (2010, p. 150) suggests that we inevitably need to imagine the Holocaust’s atrocity in order to connect with it. In a review of Kertzer’s work, Sokoloff (2005, pp. 176–177) highlights a tension between the opposed aims of telling versus protecting children. This tension, central to Holocaust literature, also applies to other narratives attempting to represent the horrors from the past to new generations. On a more local scale, pioneering work has been done in Argentina in exploring ways of representing the country’s authoritarian recent past to children. Focusing on the Argentinian dictatorship (1976–1983), Elena Stapich (2013) argues that any subject can be treated in children’s literature, provided that the writer is an artist able to shape her worldview in a literary text, delivering an aesthetic experience, emotion, humour, and possibilities for identification. Similarly, Graciela Montes (2001, p. 1) opens her book El golpe y los chicos (The coup and the children) saying that, although some people think bad and sad things need to be forgotten, remembrance is not only good, but also necessary, again to prevent history from repeating itself. 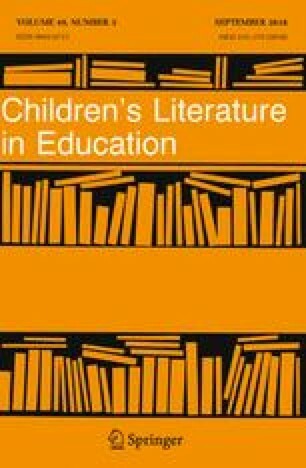 Various critics of children’s literature have demonstrated that constructions of childhood, which determine what is considered suitable for children, are subject to change and debate (see, among others, Immel and Grenby 2009, p. 19). Adults who think that children need to be protected from the external world will promote books that safely confirm that vision. By contrast, those who view children as wise and able to cope with the complex reality we live in, will define suitability rather differently. Exploring childhood in British and North-American poetry across three centuries, Morag Styles (1998, pp. xviii-xxiv) describes a continuum that goes from a construct of childhood that glorifies the natural and rural world to poetry that seeks realism by taking risks, speaking against injustice and respecting its audience, which is consistently positioned in the street. The metaphor of moving children from the garden to the street is very useful to understand the Chilean case as well. In a sense, we need to position children “in the street” before we can attempt to confront them with dictatorship in any significant way. We cannot write about the horrific episodes in history if we believe that children are innocent beings in need of protection. Age seems to play a crucial role, as publishers have classified most of the titles representing Pinochet’s dictatorship as books for children older than nine, with most for children aged 12 and up. Though age classification has been contested for ignoring child readers’ individual development (Nikolajeva, 1998), it is striking that local publishers consider it inappropriate to expose a younger audience to dictatorship. There is an implicit assumption that younger children need to be protected more than their older counterparts, which also needs to be challenged. After all, Maria Nikolajeva (1998, pp. 222–223) argues that no valid subject restrictions apply to children’s literature any longer, as the focus of the debate on suitability has moved from subject (what is represented) to form and discourse (how it is represented). Keeping these views in mind, I will now discuss how Chilean children’s books so far have tried to represent Pinochet’s dictatorship. La Composición (The composition) by Antonio Skármeta (2000) and Roberto Ampuero’s La guerra de los Duraznos (The peach war, 2001) represent the dictatorship from a perspective of exile. They are the only children’s books that I am aware of that were produced during this period outside Chile and then republished locally. La Composición was foundational for the representation of dictatorship in Chilean children’s books. It was written in the late 1970s for the radio, published then in France by the newspaper Le Monde, and appeared much later, in 2000, as a children’s picture book in Venezuela. It was then republished in Italy, Canada, Argentina and many other countries. La Composición has received prestigious international awards, and it has been recognised as one of the best exponents of radical children’s literature (Mickenberg and Nel, 2011, pp. 452–453). However, Carmen Diana Dearden, editor at the publishing house Ekaré, has reported the difficulties behind this success. First, it took Ekaré ten years to publish La Composición in Venezuela: two illustrators failed to do the job, and when Ekaré had finally found an illustrator able to embark on the difficult task (perhaps Alfonso Ruano succeeded because he had experienced Franco’s dictatorship in Spain), it took ten more years until the book was distributed in Chilean schools (Dearden, 2010). La Composición addresses the dictatorship in Chile from the perspective of a nine-year-old boy who witnesses the persecution of opponents of the regime. An omniscient narrator relates how Pedro heroically avoids the trap set by the military when he is assigned a seemingly innocent essay topic: telling what families do in the evenings. Pedro quickly understands the subtleties of censorship and political correctness, managing skilfully to avoid the trap by expertly playing the game. The oppressive regime is represented as an encroaching veil of silence and tension that dominates not just the public space, where soldiers are shown patrolling the streets of Pedro’s neighbourhood, but also the private sphere, as the cold colours and realistic style of the illustrations evoke the tension and despair in Pedro’s house, where his parents are continuously listening to the radio, too absorbed in their own thoughts to care for their son. At school, the freedom to teach is violated, as the homework set by the oppressors suggests. Although the book has recently been singled out as a step forward in children’s literature for its portrayal of children’s political activities and responsibilities (Nance-Carroll, 2014, pp. 276–282), there is something problematic in La Composición. Even though Pedro is only nine, he behaves like a sly politician—and it is precisely his level of political awareness and wittiness that is difficult to believe. While research consistently shows the influence of family, local community and school on children’s development of political awareness (Connolly et al., 2002, p. 7; Hess and Torney-Purta, 2005, p. 93), the socialisation that could account for Pedro’s behaviour is missing from La Composición. Harper Lee’s To Kill a Mockingbird (1960) provides a telling contrast: there, after Atticus Finch’s fatherly wisdom and frankness, Scout’s awareness and political development come as no surprise. Should we believe that Pedro represents the political awareness of an average child, as Niall Nance-Carroll has recently suggested (2014, pp. 275–276, 280), it might be inferred that there is no need to represent dictatorship in children’s books because they are so politically wise and savvy that mediation in this field is unnecessary. In fact, Peter Hollindale warns that “if you present as natural and commonplace the behaviour you would like to be natural and commonplace, you risk muting the social effectiveness of your story” (1992, p. 29). Pedro is a superhero who uses his superpower of political awareness to sense implicit danger, lie without any moral struggle, and go undetected by the military authorities. Consequently, he can save himself and his parents from the dictatorship’s brutal repression. As such, La Composición provides readers with an exemplar model to admire, but not with a credible account of what it was like to grow up under Pinochet’s dictatorship. Ampuero’s La guerra de los Duraznos is a novel about a group of children living in Valparaíso at the beginning of the dictatorship. 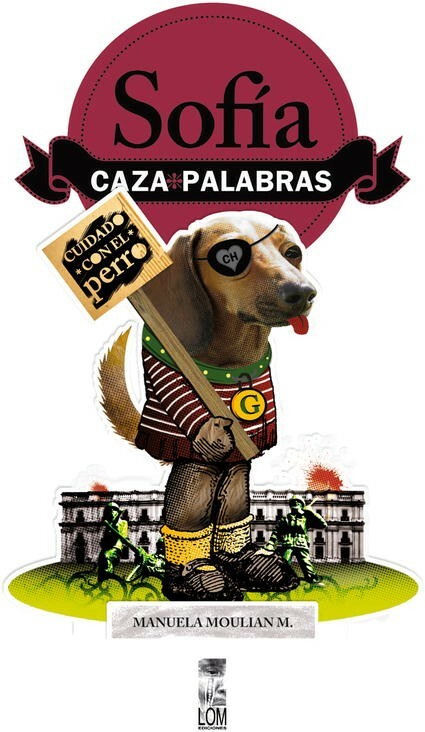 From an omniscient narrator’s point of view we follow the actions of “Los Panteras” (The panthers), a gang formed by six members: Ignacio, Minuno, Jaimito, Ximena, Coco, and Cometa the dog. Although the children, who are all around 12 years old, go to different schools and come from different social classes and political positions, they maintain their friendship based on their neighbourhood connection. The action quickly moves from typical gang fights—the Panthers against “Los Escorpiones” (The scorpions), who want to take over the Panthers’ hut—to the children’s involvement and intervention in political matters. This change is produced when the leaders of the Panthers, Minuno and Ignacio, find in the woods a seriously wounded man, who asks them for help but begs not to take him to the police or the hospital. He turns out to be Lautaro, a farmer and political activist persecuted by the secret police and portrayed in the press as a dangerous terrorist. The Panthers hide him and save his life. The ferocity of dictatorship is more explicitly represented in La guerra de los Duraznos than in La Composición, as it includes references to torture, disappearance, death, and the growing cruelty of the repressors, especially against poor people. However, the novel is also hopeful as it shows how friendship enables the children to mobilise their resources in creative ways, for instance when they hide Lautaro in the attic of Elsita’s house while her father is, of all people, the officer in charge of the squad that tries to locate Lautaro by breaking into every house in the neighbourhood, except Elsita’s. On a deeper level, the novel tells the story of a group of children shifting in less than a week from innocence to political commitment. Similarly to La Composición, the children are represented as superheroes: brave, wise, strong, fearless, and able to do what the real victims of the dictatorship failed to accomplish—to win the battle against an authoritarian and cruel regime. The fact that Skármeta’s and Ampuero’s books were produced outside Chile while in exile, is key to understanding their portrayal of the dictatorship. These authors imagined from a safe distance the struggles of children growing up in Chile, but were not children themselves, nor were they living there as adults. This dual distance—physical and experiential—allowed them to create an idealised representation of children within their stories. Both books represent children as superheroes: brave, wise, strong, fearless, politically savvy and actively counteracting repression. Moreover, these books do not try to conceal the brutality of dictatorship. On the contrary, they describe in some detail its horror, making explicit reference to violence, repression and persecutions (La Composición), and torture and death (La guerra de los Duraznos). In this sense, both books were written to inform an international audience of what was going on in Chile and can be classified as politically committed literature, which Clémentine Beauvais describes as a form of literature that while celebrating the freedom and agency of children to transcend bad situations created by adults, generates “an impossibly mighty child” (2015, p. 178). Eight children’s books dealing with the dictatorship were published in Chile from 2009 to 2014 (Troncoso, 2015).1 Despite the significance of each of these books, analysing all of them is beyond the scope of this article. I will focus on two novels written by ‘insiders’ in the sense that their authors grew up under the dictatorship and consequently draw on their personal experiences to write their children’s novels: Sofía caza palabras (Sofía word hunter) by Manuela Moulián (2009) and La bicicleta mágica de Sergio Krumm (Sergio Krumm’s magical bicycle) by Marcelo Guajardo (2013). Even though Sofía caza palabras (Fig. 2) was the first book that was published in Chile after democracy was reinstalled and attempts to address the dictatorship for a young audience, it has not received the attention it deserves from local critics or other relevant actors in the field, with only one recent exception (Troncoso, 2015, p. 14). Perhaps this lack of attention is due to the editors’ vague description when it was published, suggesting that it is primarily concerned with a girl growing up in the 1980s, a complex moment in Chilean history. Yet, the book’s invisibility—comparable to the reception of La Composición described above—is a telling symptom of the local difficulty in acknowledging the topic. Sofía caza palabras is a graphic novel about eight-year-old Sofía, who grows up under the dictatorship. She writes her secret notebook while trying to make sense of the mysteries that surround her life. The plot follows her dog Garp, named after John Irving’s novel, which Sofía’s dad is reading. While Sofía tries to understand the meaning of words used in her family, such as “proletariat” and “historic materialism”, the dog brings trouble by its peculiar habit: eating books. Sofía caza palabras also refers indirectly to violence, disappearance, exile, and the double identities of people living in hiding. In order to alleviate the terror of these events, Moulián adopts a humorous stance in her illustrations and writing. For example, Sofía replaces “fuerzas armadas” (armed forces) with the pun “fuerzas malvadas” (malign forces), and Pinochet with “El mandón” (Big Bossy). However, this strategy is not enough to ease the terror that surrounds Sofía, especially after the secret police kill a maid working in her neighbourhood. Moreover, the use of fanciful language to describe Sofía’s world generates a fragmented account that fails to create a credible character, constraining in this way the possibilities for identification. Guajardo encourages his readers to become curious, ask questions and learn about the dictatorship for themselves by hinting at, but not describing the difficult past. After seeing some old photographs and a wonderful bike in a neighbour’s workshop, the children want to solve the mystery of who Sergio Krumm was. Instead of asking the adults for help, they display their agency by crossing Santiago on their own to find the National Library. This is a significantly less dangerous endeavour than the kinds of actions portrayed by children in the books written in exile, such as hiding and saving the life of a persecuted man, or counteracting military repression. The story provides hope as the children do not just win their cycling race thanks to Sergio’s bike, but are also rewarded for working together. In this way Sergio’s bike is an amulet that guides them in their journey from silence to the search for truth. By fictionalizing their personal experiences, Moulián and Guajardo provide accounts that can be understood as memory vehicles (Jelin, 2007, p. 141). Their insider position is a valuable asset that can inform new generations about the issues that have irreversibly affected the recent history of a country (Margarita Ramos, 2010, p. 34). Since the authors were children living under Pinochet’s regime, they are better informed than those writing from the outside. As a result, the accomplishments of their child characters are more modest, but also more credible. Though only a handful of children’s books have been published about Pinochet’s dictatorship, they represent a significant transformation in the landscape of Chilean stories for children. Representing political oppression in children’s books is a complex task, as each author needs to deal with the tension between telling as well as protecting the audience from what is told. However, this task is not just possible but also necessary. Fiction has a crucial role to play in informing children about dictatorship: as an art of the imagination it can offer an aesthetic experience, emotion, humour and identification. Children’s literature can also be seen as a political act, a vehicle of memory, an instrument of socialisation, a drive for social change, and a tool for giving new meaning to the past. I have foregrounded the context of production (the authors’ experience of dictatorship) as a key marker to compare the four books analysed above. All four books metaphorically position children in the street, as they choose to represent the dictatorship for children, opting for telling them instead of protecting them from the difficult past. Similar to books representing the Holocaust, the Chilean children’s books analysed here encourage readers to identify with the protagonists, bridging the historical and cultural distance separating contemporary children from the events (Muller, 2010, p. 152; p. 160). At the same time, all of them represent the dictatorship from the perspective of children from the left of the political spectrum. Even though a complete narrative of dictatorship cannot exclude the perspective from the right, up to now no book published in Chile has attempted to do so. Although some titles include characters from the right (like Elsita’s parents in La guerra de los Duraznos or Greta, one of Sofía’s grandmothers), they serve as contrast figures to highlight the children’s ability to make political distinctions. In all four books, the children are positioned in their own parallel universe that is separate from the adults, as their parents are too occupied with their own struggles, resulting from the political situation, to emotionally care for their children. Sofía, the most eloquent character of all, defines herself as an invisible, yet invincible child. Crucially, all the parent figures refuse to answer their children’s questions, and tend to talk about the dictatorship in an evasive way. In doing so, they try to protect the young, as they seem aware that the more they know, the more exposed they might become. Therefore, all four plots revolve around secrets: what Pedro wrote in his essay, the Panthers’ actions to help Lautaro, Sofía’s insights written in her notebook, and what Beto and his friends find out about the disappeared cyclist. The child characters are not just aware of the importance of keeping these secrets, but also of the need to actively contribute to solving the conflicts they face. Last but not least, no matter how cruelly dictatorship is rendered, all of the books provide hope, expanding to some extent the possibilities for remembering and re-signifying the past. Despite the similarities described above, the context of production of these books plays a significant part in explaining some key differences in their representations of dictatorship for a young audience. Skármeta and Ampuero appear more committed to tell a wider audience what was happening in Chile, while Moulián and Guajardo grew up under the dictatorship and wrote from within the Chilean context one generation later, so that they do not need to explain the dictatorship to their readership and address it only indirectly. While the books written from the outside perspective can be seen as a propaganda of sorts against the dictatorship, the books written from the inside express the authors’ need to elaborate on what it meant for them to grow up under dictatorship. Consequently, Skármeta’s and Ampuero’s boy protagonists are fearless, active and brave. Moulián shows how the dictatorship affects Sofía’s mind by mentioning not only the external events but also addressing the girl’s fears, reflected in her nightmares, fantasies and discoveries. Yet, Sofía is also rational, independent, brave and assertive. In Guajardo’s book, even though most of the characters are boys, children of both sexes are featured as reflexive and empowered in trying to make sense of the political circumstances that intersect with their daily lives. The books written from the inside confront to some extent the gender stereotypes that Skármeta’s and Ampuero’s books tend to perpetuate (Taylor, 2009, p. 19). Yet the most important difference between the books produced from an outsider or insider perspective, is the role the children play in the political arena. While Skármeta and Ampuero represent children as superheroes whose actions counteract repression, the accomplishments of Moulián’s and Guajardo’s child figures are more modest: they are politically aware, but do not make the adults’ fight their own. Having been born and grown up myself under the same dictatorship as Pedro, The Panthers, Sofía and Beto and his friends, I value those books written from an insider perspective, because, in their efforts to cope with this historical period, they open the possibility to remember, explore and re-signify the past. The possible role of children in reproducing or transforming their political circumstances is a key issue to consider when analysing children’s books dealing with dictatorship. Moulián’s and Guajardo’s fictional accounts are less evidently radical or politically committed from some critics’ point of view, but they have managed to describe the dictatorship without constructing impossibly mighty children. I think that this direction is radical in its own way, and also beneficial for children and adults alike. Although the books analysed here have constructed eloquent narratives of the dictatorship for children, the task is far from complete. Just to mention some of the challenges: we need books exploring different genres, representing the dictatorship for younger children, portraying girls, children from different social classes, ethnicities, regions and backgrounds, and voices positioned on the right of the political spectrum. In this way, we will provide young generations with pieces to complete the jigsaw of meanings of the dictatorship, as well as tools for the imagination, exploration and re-signification of the past, the present and the future. 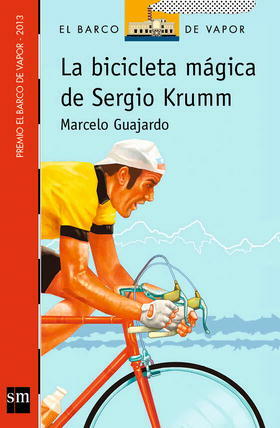 The titles listed are the following: Sofía caza palabras (Sofía word hunter) by Manuela Moulián (2009), La bicicleta mágica de Sergio Krumm (Sergio Krumm’s magical bicycle) by Marcelo Guajardo (2013), Luchín (2014), an illustrated version of the lyrics to a Víctor Jara song, and Niños (Children), a collection of poems in remembrance of the 33 children killed by the dictatorship (María José Ferrada, 2013). In addition, a collection of four picture books titled Hablemos de… (Let’s talk about…) appeared: El tío Octavio (Uncle Octavio) by Camila García (2012), ClanDEStinos (Clandestines) by Cristina Ortega (2012), Canto para mañana (Song for tomorrow) by Calú López (2013) and Chocolate by Jeng Woo Hong (2013). Adams, Guy. (2012). Dictator Term Ban from Chilean Books. The Independent. Retrieved April 19, 2016, from http://www.independent.co.uk/arts-entertainment/books/news/dictator-term-ban-from-chilean-books-6285570.html. Aguilar, Carlos. (2016). Oscar-Nominee ‘Bear Story’ Dir. Gabriel Osorio on His Grandfather’s Exile & Latin American Animation. Retrieved April 19, 2016, from http://blogs.indiewire.com/sydneylevine/oscar-nominee-bear-story-dir-gabriel-osorio-on-his-grandfathers-exile-latin-american-animation-20160222. Connolly, Paul, Smith, Alan and Kelly, Berni. (2002). Too Young to Notice? The Cultural and Political Awareness of 3–6 Year Olds in Northern Ireland. Retrieved April 19, 2016, from http://www.unescocentre.ulster.ac.uk/pdfs/pdfsalan/2002TooYoungtoNotice.pdf. Dearden, Carmen Diana. (2010). La edición de libros para niños y la promoción de la lectura. Retrieved April 19, 2016, from http://congresosdelalengua.es/valladolid/ponencias/activodelespanol/2laedicionenespanol/deardenc.htm. Huber, Raymond. (2012). Children’s Books Vs the Dictators. Retrieved April 19, 2016, from http://www.raymondhuber.co.nz/essays-writing-peace-comics/childrens-books-vs-the-dictators. INE. (2014). Anuario Cultural y Tiempo Libre. Retrieved April 19, 2016, from http://www.cultura.gob.cl/wp-content/uploads/2016/01/anuario-cultura-tiempo-libre-2014.pdf. Stapich, Elena. (2013). Miradas sobre el autoritarismo y la dictadura. Retrieved September 16, 2016, from http://jitanjafora.org.ar/Miradas%20sobre%20el%20autoritarismo%20y%20la%20dictadura.pdf. Troncoso, Anahí. (2015). La tematización de la dictadura en la literatura chilena para niños y niñas. Umbral, 1(9). Retrieved July 14, 2016, from http://cielchile.org/wp-content/uploads/2015/01/Umbral-1.9-sep-2015.pdf.